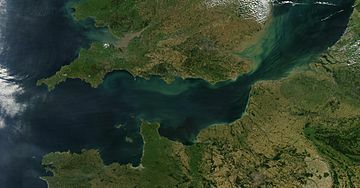 The English Channel is a body of water that separates the island of Great Britain from the rest of Europe. People who live in the UK and want to visit Europe, or people from Europe who want to visit the UK, can take a ferry across or ride a train under the channel in a special tunnel called the Channel Tunnel (nicknamed the Chunnel). Both the ferries and trains carry cars. It is 563 km long, 246 km wide, and its narrowest part (34 km) is the Strait of Dover. On a clear day, it is possible to see the cliffs of Dover from Calais on the French side. In 1875, Matthew Webb became the first known person to swim the English Channel, crossing it in just under 22 hours. The first woman to do this was Gertrude Ederle. In 2004, over 600 people were recorded making the crossing. The fastest time was achieved by Bulgarian swimmer Peter Stoychev in 2007, who managed it in 7 hours. Recently, officials have outlawed swimming in the English Channel. In France, it is known as La manche (The Sleeve). The Channel is of geologically recent origins, having been dry land for most of the Pleistocene period. Before the Devensian glaciation (the most recent ice age that ended around 10,000 years ago), Britain and Ireland were part of continental Europe, linked by an unbroken Weald-Artois Anticline, a ridge that acted as a natural dam holding back a large freshwater pro-glacial lake in the Doggerland region, now submerged under the North Sea. 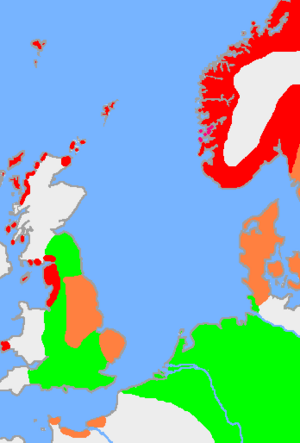 During this period the North Sea and almost all of the British Isles were covered by ice. The lake was fed by meltwater from the Baltic and from the Caledonian and Scandinavian ice sheets that joined to the north, blocking its exit. 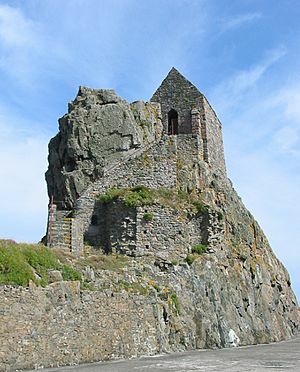 The sea level was about 120 m (390 ft) lower than it is today. Then, between 450,000 and 180,000 years ago, at least two catastrophic glacial lake outburst floods breached the Weald–Artois anticline. The channel, which delayed human reoccupation of Great Britain for more than 100,000 years, has in historic times been both an easy entry for seafaring people and a key natural defence, halting invading armies while in conjunction with control of the North Sea allowing Britain to blockade the continent. The most significant failed invasion threats came when the Dutch and Belgian ports were held by a major continental power, e.g. 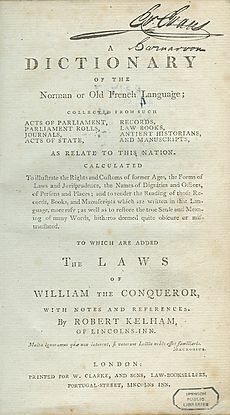 from the Spanish Armada in 1588, Napoleon during the Napoleonic Wars, and Nazi Germany during World War II. 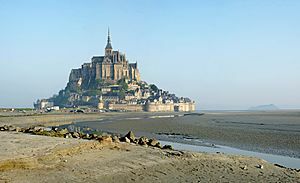 Successful invasions include the Roman conquest of Britain, the Norman Conquest in 1066 and the invasion by the Dutch in 1688, while the concentration of excellent harbours in the Western Channel on Britain's south coast made possible the largest invasion of all time, the Normandy Landings in 1944. Channel naval battles include the Battle of the Downs (1639), Battle of Goodwin Sands (1652), the Battle of Portland (1653), the Battle of La Hougue (1692) and the engagement between USS Kearsarge and CSS Alabama (1864). The Battle of Passchendaele in 1917 was fought to reduce the threat by capturing the submarine bases on the Belgian coast, though it was the introduction of convoys and not capture of the bases that averted defeat. In April 1918 the Dover Patrol carried out the famous Zeebrugge Raid against the U-boat bases. During 1917, the Dover Barrage was re-sited with improved mines and more effective nets, aided by regular patrols by small warships equipped with powerful searchlights. A German attack on these vessels resulted in the Battle of Dover Strait in 1917. 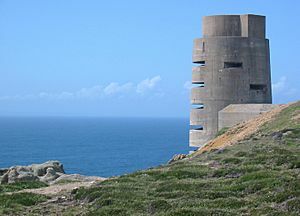 A much more ambitious attempt to improve the barrage, by installing eight massive concrete towers across the strait was called the Admiralty M-N Scheme but only two towers were nearing completion at the end of the war and the project was abandoned. During the Second World War, naval activity in the European theatre was primarily limited to the Atlantic. 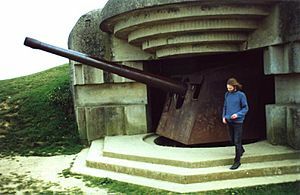 During the Battle of France in May 1940, the German forces succeeded in capturing both Boulogne and Calais, thereby threatening the line of retreat for the British Expeditionary Force. By a combination of hard fighting and German indecision, the port of Dunkirk was kept open allowing 338,000 Allied troops to be evacuated in Operation Dynamo. More than 11,000 were evacuated from Le Havre during Operation Cycle and a further 192,000 were evacuated from ports further down the coast in Operation Ariel in June 1940. The early stages of the Battle of Britain featured air attacks on Channel shipping and ports, and until the Normandy Landings (with the exception of the Channel Dash) the narrow waters were too dangerous for major warships. Despite these early successes against shipping, the Germans did not win the air supremacy necessary for Operation Sealion, the projected cross-Channel invasion. The number of ferry routes crossing the Strait of Dover has reduced since the Channel Tunnel opened. As one of the narrowest and most well-known international waterways lacking dangerous currents, the Channel has been the first objective of numerous innovative sea, air, and human powered crossing technologies. 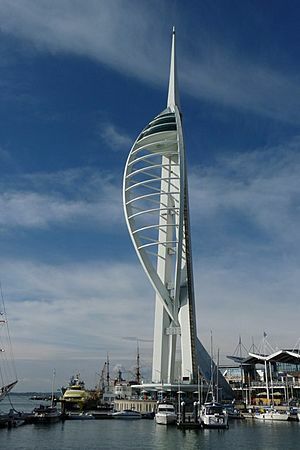 Pre-historic people sailed from the mainland to England for millennia. At the end of the last Ice Age, lower sea levels even permitted walking across. 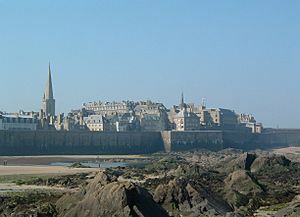 Pierre Andriel crossed the English Channel aboard the Élise, ex the Scottish p.s. "Margery" in March 1816, one of the earliest seagoing voyages by steam ship. English Channel Facts for Kids. Kiddle Encyclopedia.